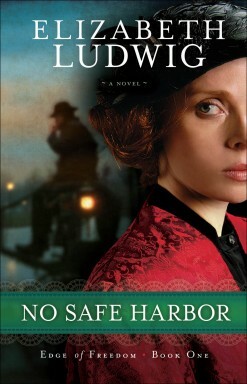 I really like No Safe Harbor for the fact that it was a historical fiction and romance! I absolutely love reading a romance where I also learn some history of our country! This book was set in the 1800's when the vast majority of Irish were coming over to America. I love how Elizabeth Ludwig includes historical highlights like Ellis Island, the Irish "mobs" in New York City, the burning of Ellis Island and the jobs and setting of New York in the 1800's. She wrapped all of the great historical facts into an easy to read, fun, romantic, and interesting book: No Safe Harbor! I loved the storyline and I just didn't want to put this book down until I found out what happened between Cara and Rourke and Cara and her long lost brother. This is the first book in a series and I can't wait to see what happens in the next books! Check out what other people said about this book! Enter today by clicking one of the icons below. But hurry, the giveaway ends on December 5th. Winner will be announced at the "No Safe Harbor" Author Chat Facebook Party on 12/6. 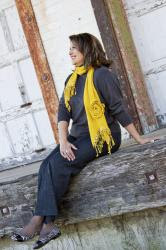 Connect with Elizabeth, get a sneak peek of the next book in the Edge of Freedom series, try your hand at the trivia contest, and win some great prizes - gift certificates, books and a Book Club Prize Pack to be won (10 copies for your book club or small group)!